I received an message from Amanda who left St. Louis to live in Kyoto for one year to study chado. I remember when we first met at the Japanese Festival at Lindenwood University, fundraising for The Great East Japan Earthquake. Soon following, she started learning chanoyu as a high school student in 2012. She was always an eager student, even continuing her study after entering University in Columbia. 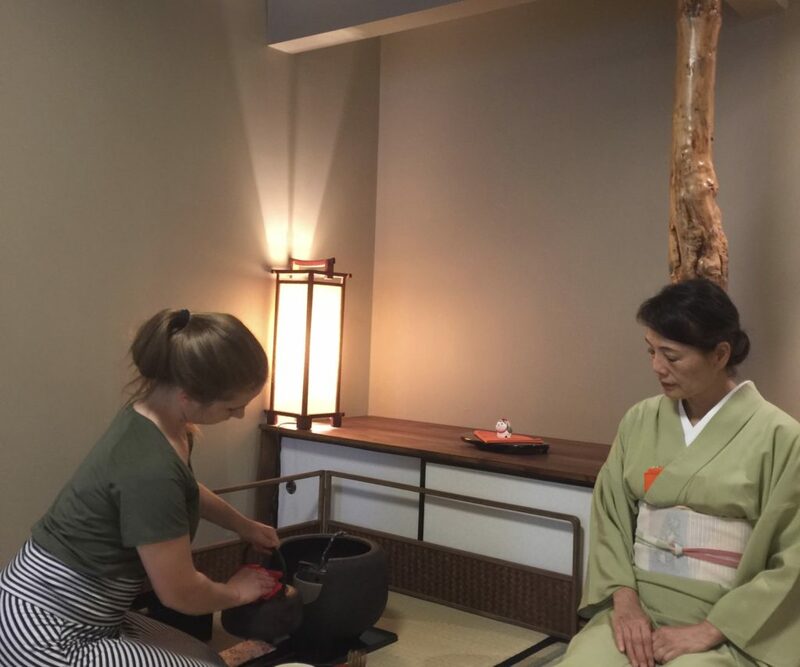 This summer she graduated and decided to apply and was accepted into the prestigious “m idorikai” – the chado school for foreign students managed by Urasenke’s Kyoto, Japan headquarters. For a year, she will be learning everything about chado. As her teacher, I’m proud of her and feel happy that she has the unique opportunity at the center of Urasenke. Going to Japan and furthering my study of tea would have been impossible without the support of Ikeda Sensei and the rest of my classmates from Junshin-an, I’m so grateful to have all of them in my life. Previous 着物ショーに参加 Participating Kimono-show as a Chado Society.